Product categories of Rubber Speed Breakers, we are specialized manufacturers from China, Rubber Speed Breakers, Rubber Speed Bumps suppliers/factory, wholesale high-quality products of Portable Speed Bumps R & D and manufacturing, we have the perfect after-sales service and technical support. Look forward to your cooperation! When to use a Speed Hump instead of a Speed Bump? 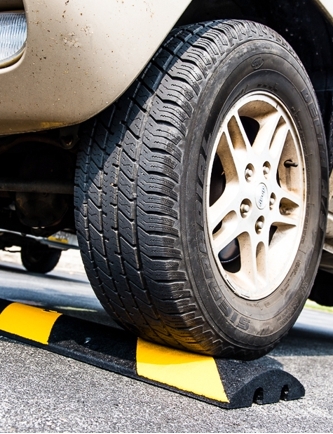 Speed bumps are specifically made to slow drivers down to between 2 to 5 mph. Speed humps are specifically designed to slow vehicles to between 10 to 15 mph.